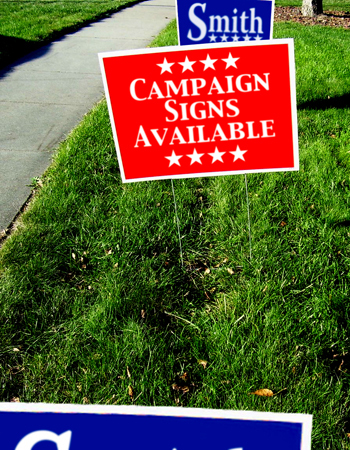 In addition to being a practical and effective way to promote your message, yard signs have a lot of curbside appeal. Designed to maximize your budget, yard signs can be printed in full color for a fraction of the cost of other options. American Digital will get you votes!